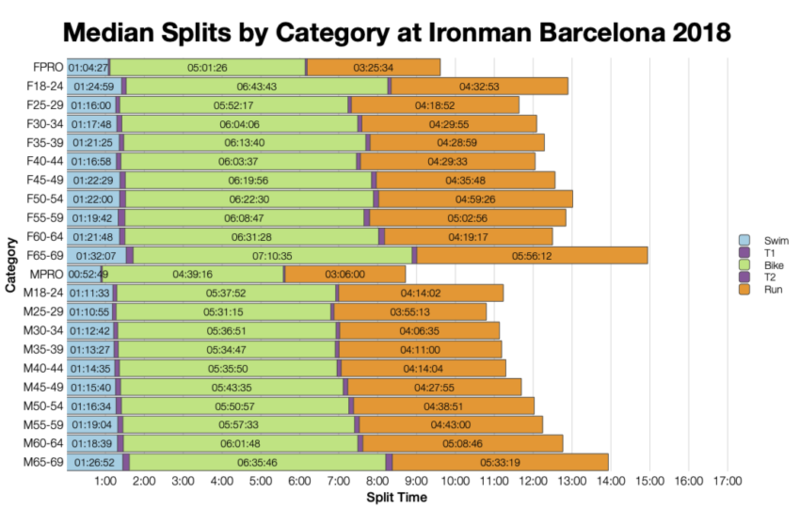 The big race of the last weekend was Ironman Barcelona. 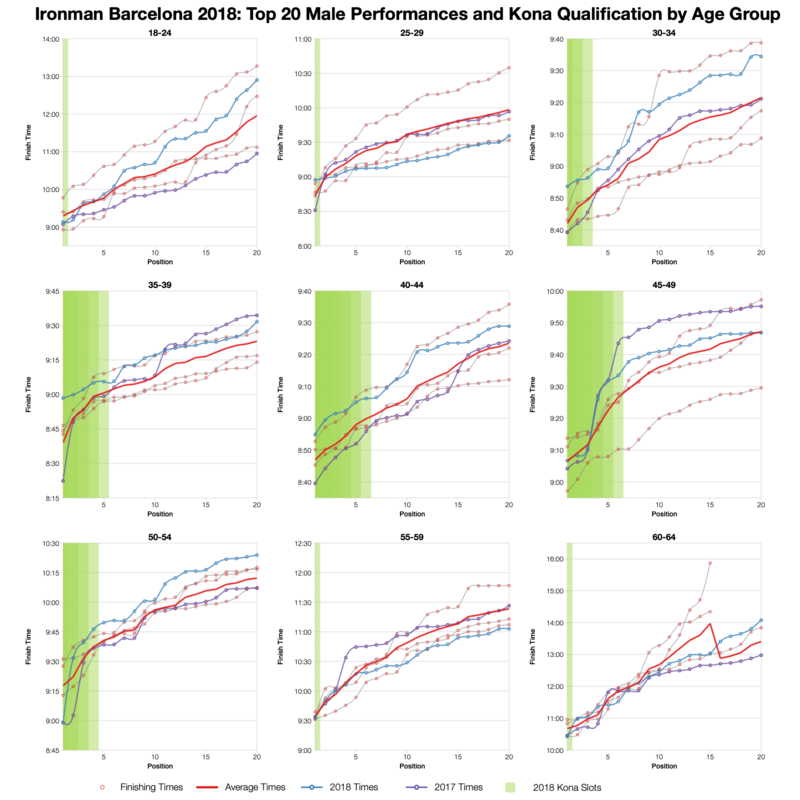 Now well established as part of the Ironman calendar, Barcelona is a large race that offers the standard 40 Kona slots to age group athletes. The course is fast, but also suffers from large drafting packs due to the high numbers of competitors. Conditions weren’t the best in Barcelona this year and we see that with the distribution of bike splits which trends slower this year. 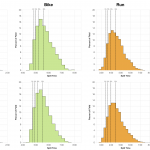 Other distributions match more closely with historic results, the run coming slightly faster, but overall this year’s race was a little slower. 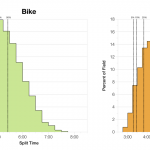 The DNF rate for this year’s race is higher on the bike and towards the high end for the run, but by no means exceptional levels for an Ironman. 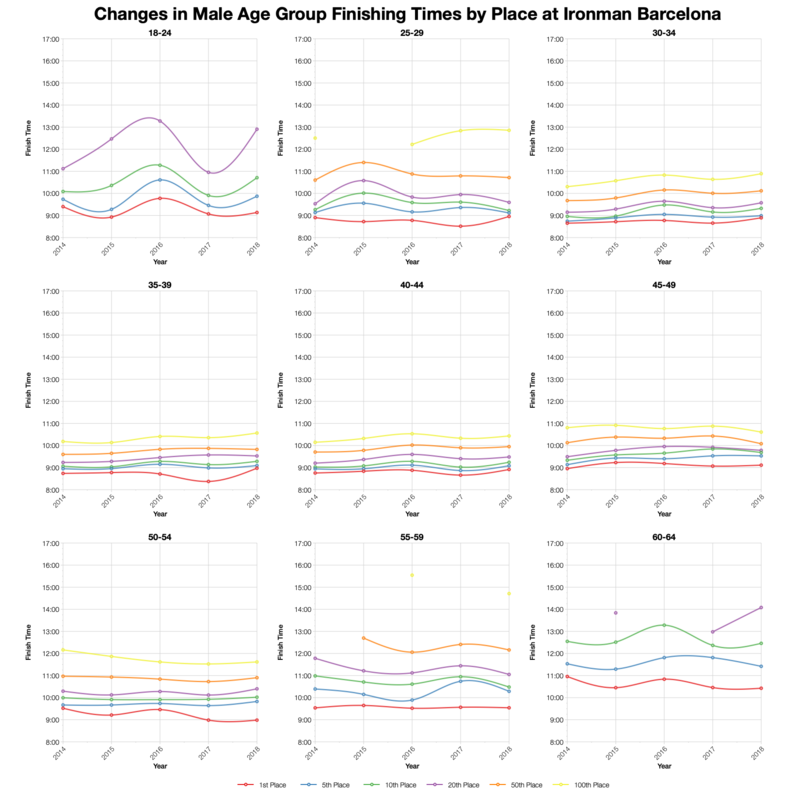 By Barcelona standards, it was a higher year for DNFs though. Age groups medians generally follow the trends shown in the distributions. 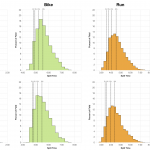 That means slower bikes for many, but other stages being largely comparable. Barcelona is a race that draws a very broad field and spread the Kona slots out among them. For the largest age groups there hasn’t been much change in times for specific positions over the years and even this year’s slower distribution is a relatively small slowing on this chart. 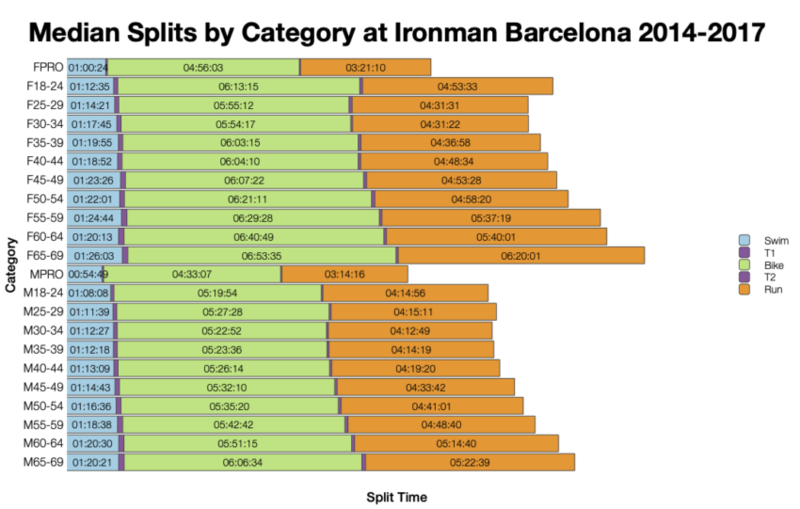 Barcelona is a consistent course in general and conditions this year didn’t have a huge impact overall. I’ve not got hold of the official Koan slot allocation so have made a best estimate in the above table. Final numbers may differ a little and the qualifying times will also be influenced by roll downs. If you want more information on qualifying times, you can compare with other races on my Kona qualification page. 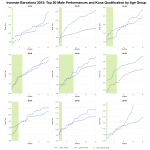 A large portion of the front of pack age groupers were also slower this year. 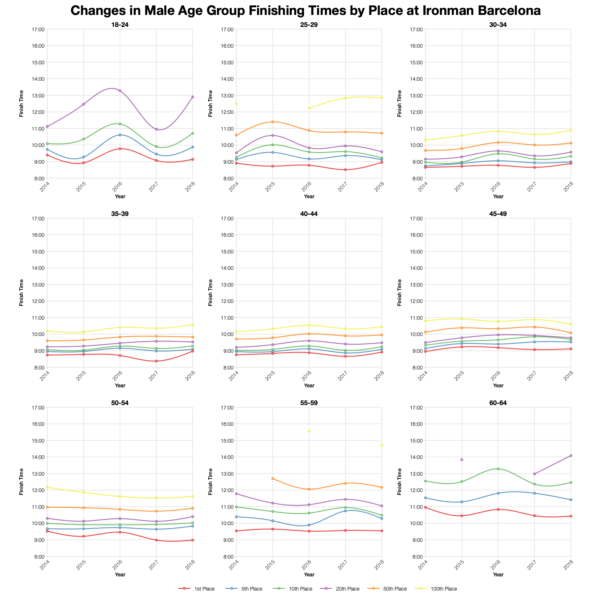 lot of male age groups come in behind the average for the top twenty times. 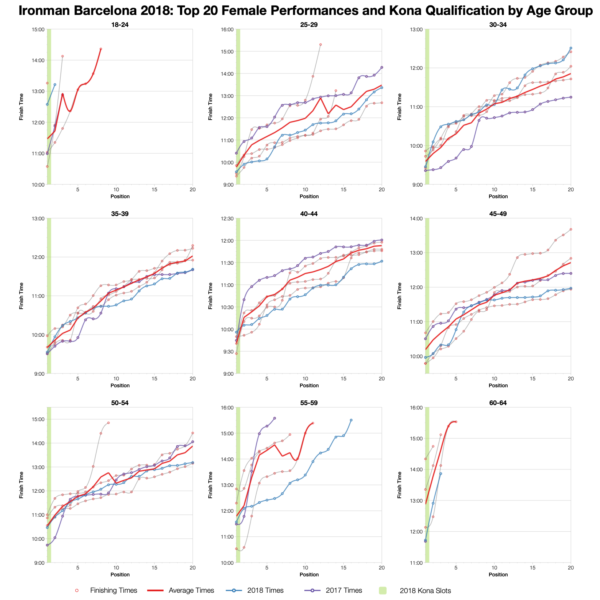 This isn’t the case for the women with a number of female age groups trending similar or faster than average on the course. You can access a spreadsheet of the full results from Ironman Barcelona 2018 on my Google Drive.